Periods are a natural part of life, so why are they rarely given any screen time? Surely hiding something so normal only adds to the shame and embarrassment many women feel when it comes to their periods. Let’s be open about it. 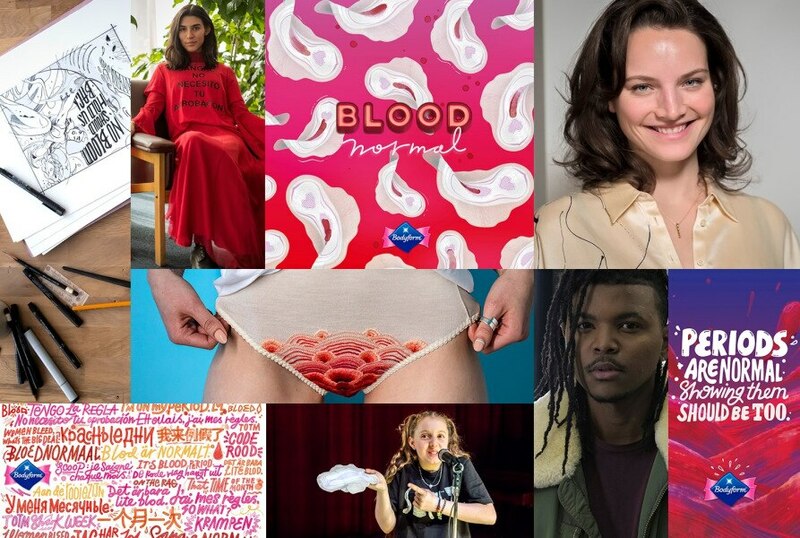 Our #bloodnormal campaign aims to call time on period taboos. We’ve conducted an online survey of among 10,017 men and women and found that 74%* of them want to see more realistic representation of periods in advertisements. We show true-to-life situations; we show blood; we show the world that the only way to kill stigma is to make the invisible visible. By bringing blood out of the dark, onto our screens and into the conversation we’re paving a positive path for women of the future. After all, shouldn’t period-talk be as normal as periods themselves? We’re working with talented people from around the globe in a bid to make periods more visible in the mainstream. From renowned French actress Victoire Dauxerre, to child stand-up comedian Saffron Herndon, our creative clan will be encouraging every woman to live fearlessly.